In 19th century Edinburgh, there was supposedly a Skye Terrier named Bobby who so loved his master that when the master, a Mr. John Gray, died and was buried in Grayfriars Kirkyard (churchyard), Bobby guarded his master’s grave for the next 14 years until his own death in 1872. 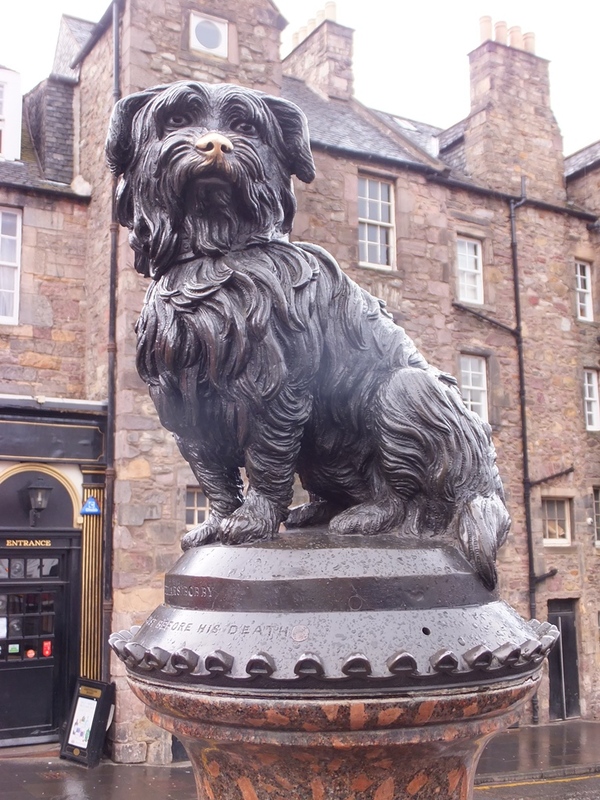 The story of this faithful, loyal dog so moved the Lord Provost of Edinburgh in 1867 that Sir William Chambers paid for Bobby’s license and gave the dog a collar that is now on display in the Museum of Edinburgh. A year after the dog’s death, Lady Burdett-Coutts had a statue erected in his honor at end of the George IV Bridge (not far from the alley leading to the Kirkyard). 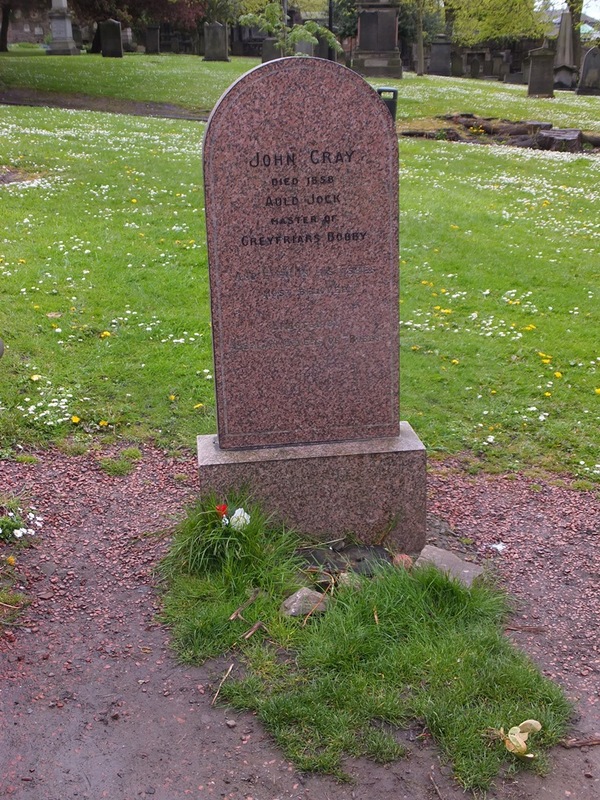 Both the statue and graveyard are tourist attractions. 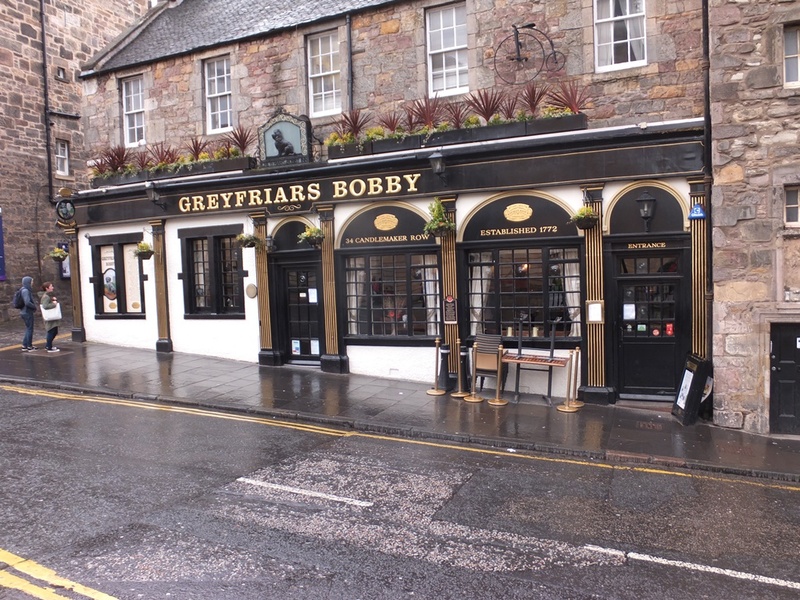 In recent years, a tour company has encouraged tourists to rub Bobby’s nose, claiming it’s an Edinburgh tradition. As a result Bobby’s nose is shiny from countless acts of vandalism to the statue. There are many questions and alternate views about this story. One researcher questions the dog’s long life and suggests that the original terrier died and was replaced by another. There are also documented accounts of stray dogs who were fed by cemetery caretakers or visitors, made the graveyard their home and appeared to be protecting a grave when in fact, they were just waiting for their next meal. Whatever the truth, we’ll never know so sure but it makes a good story!